It was on his 8th birthday that Bert became involved with the sport of pigeon racing. In those early days along with his young friends once their birds had arrived they would run to an agreed point with their bird to discover who had won the race. In 1978 he purchased some of the famous Ko Nipius and was given some Jan Aarden pigeons. These became his own family and since then no other strain has been introduced. Long distance racing became his main interest winning from Pau and Barcelona and very soon his reputation grew and so did the demand for his pigeons. 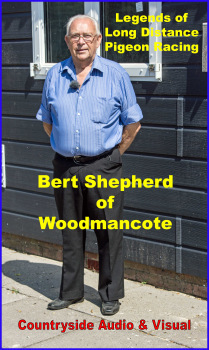 In this film Bert talks about his history, loft management, feeding, ventilation, breeding, racing methods plus much more.